Portable Divider Nets - Bison, Inc. 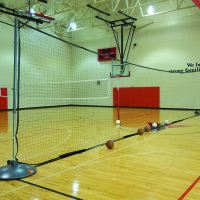 Consider portable divider nets when multiple sports or activities need to share the gym. 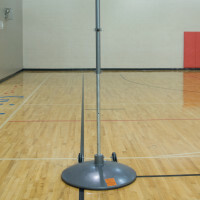 You can increase safety without investing in expensive ceiling-mounted divider curtains and these portable bases and posts can also be used for P.E. 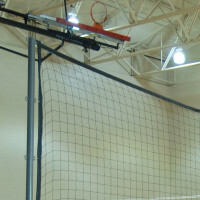 net games such as volleyball, badminton, and tennis with the purchase of additional accessories.